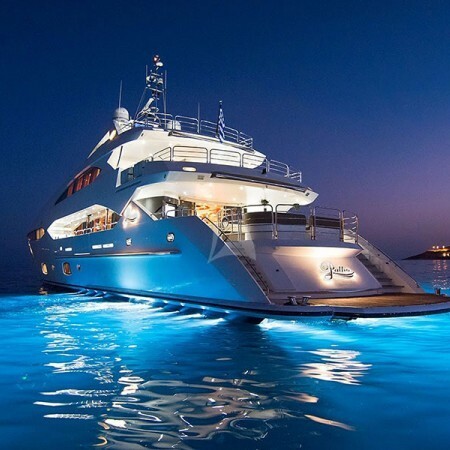 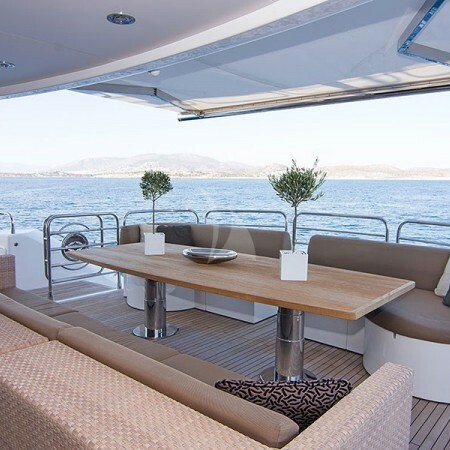 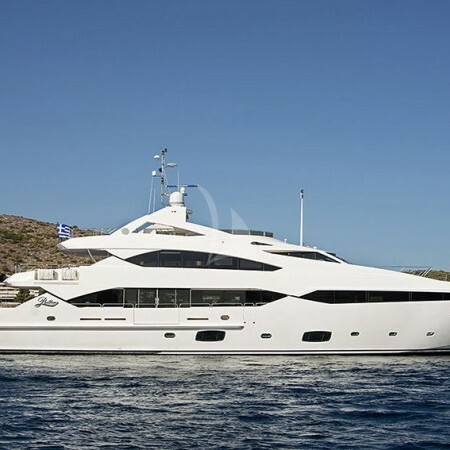 Pathos is a 40 metre Yacht motor yacht which offers the ultimate private yacht charter in Greece. 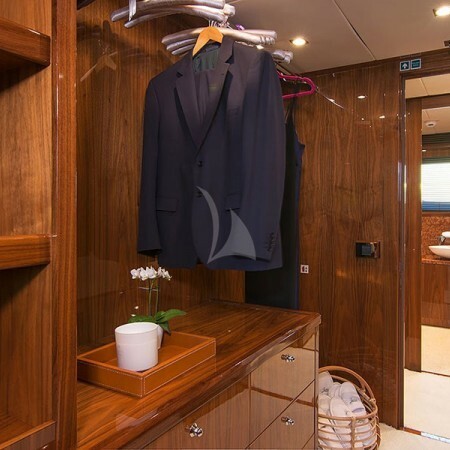 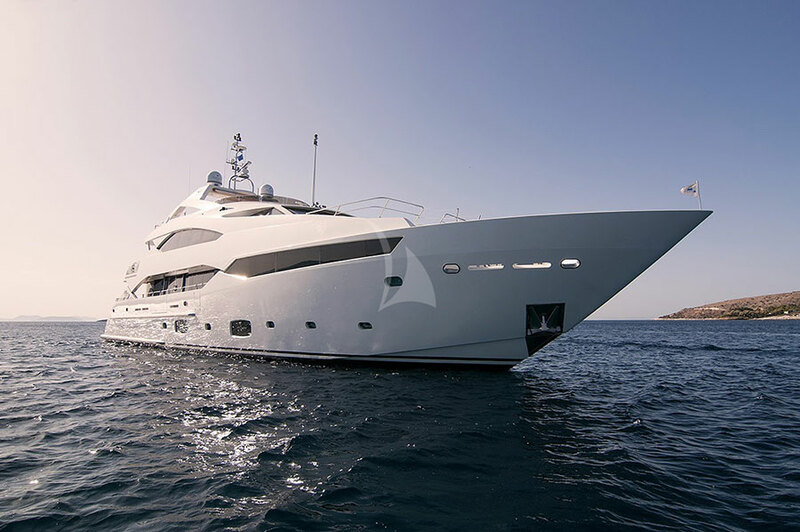 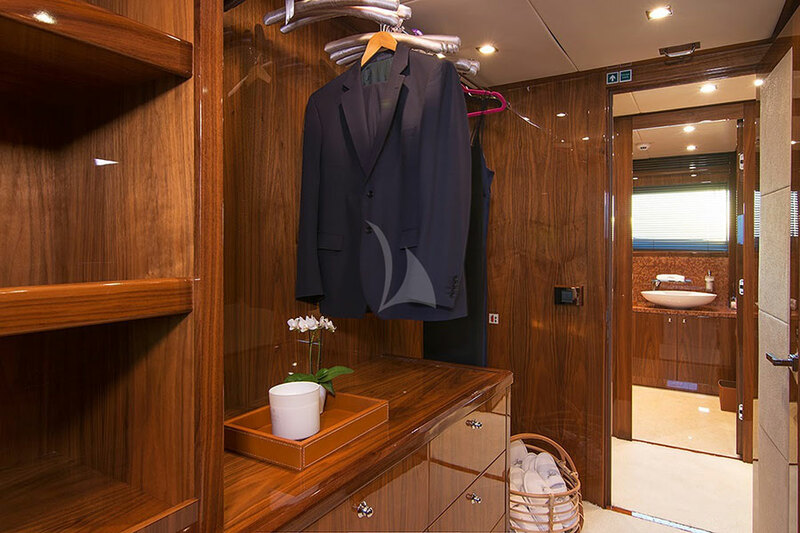 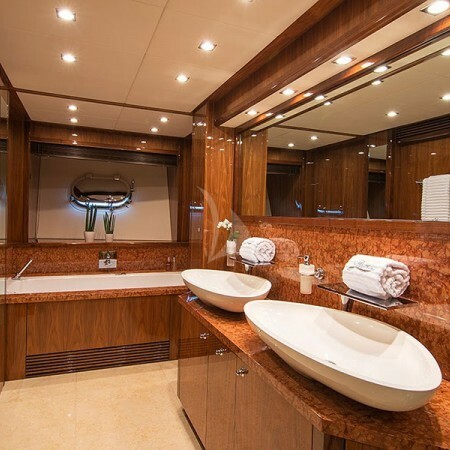 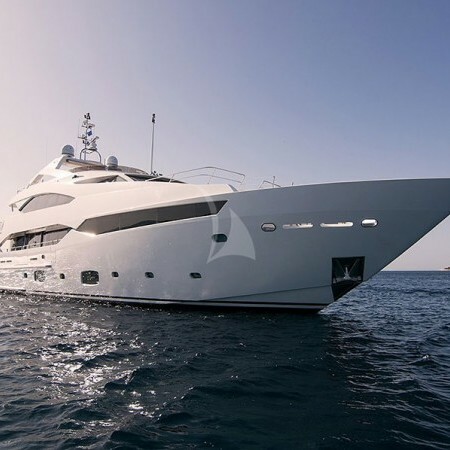 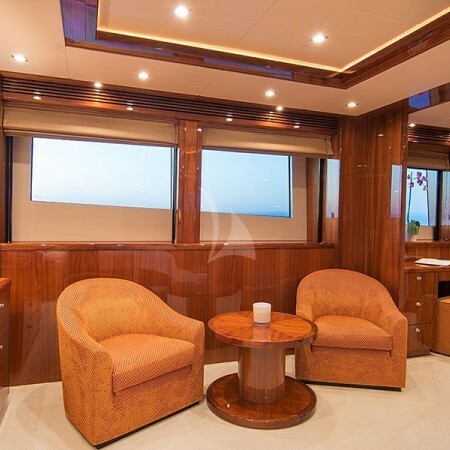 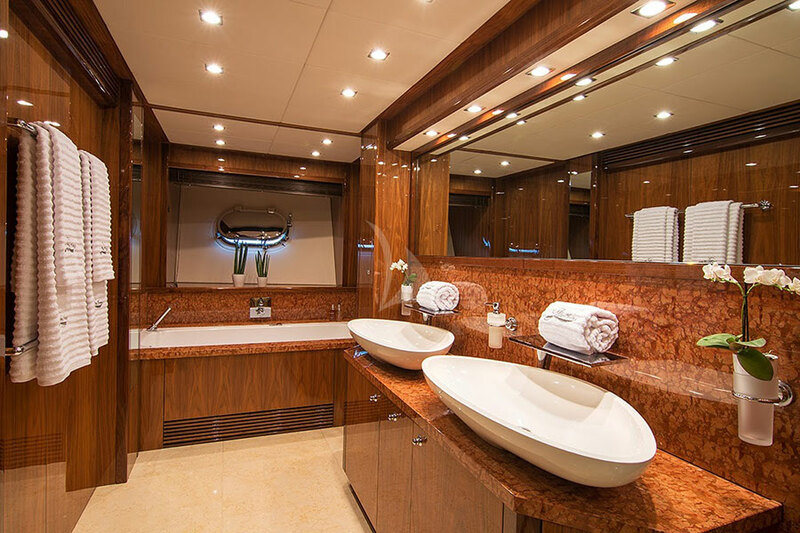 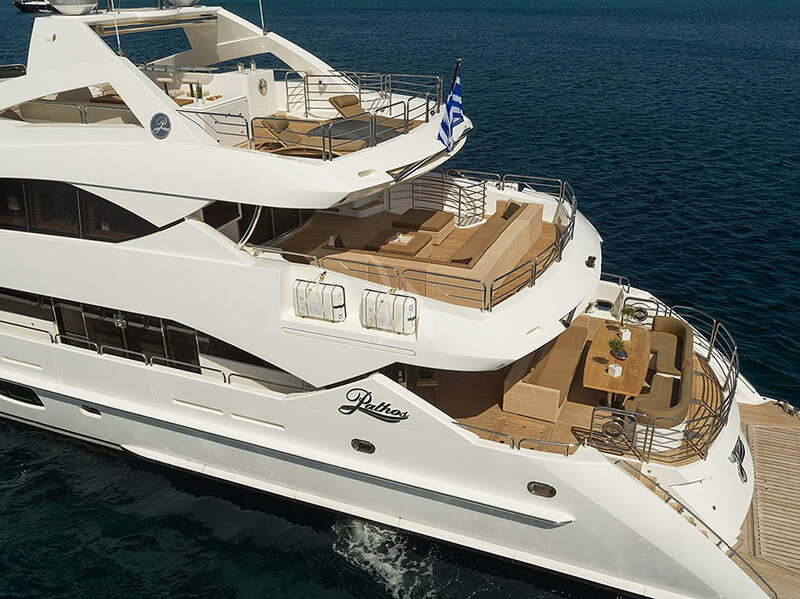 Pathos was built in 2014 by Sunseeker, who is also responsible for her elegant exterior and interior styling. 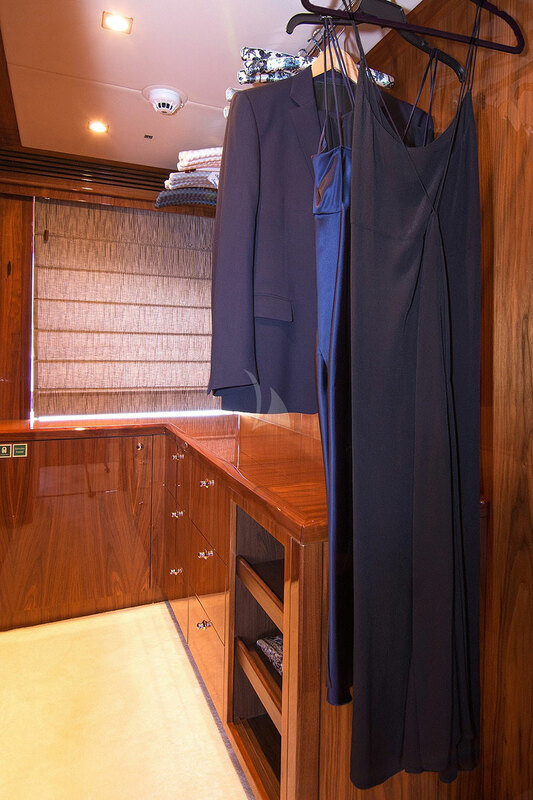 She was last refitted in 2017. 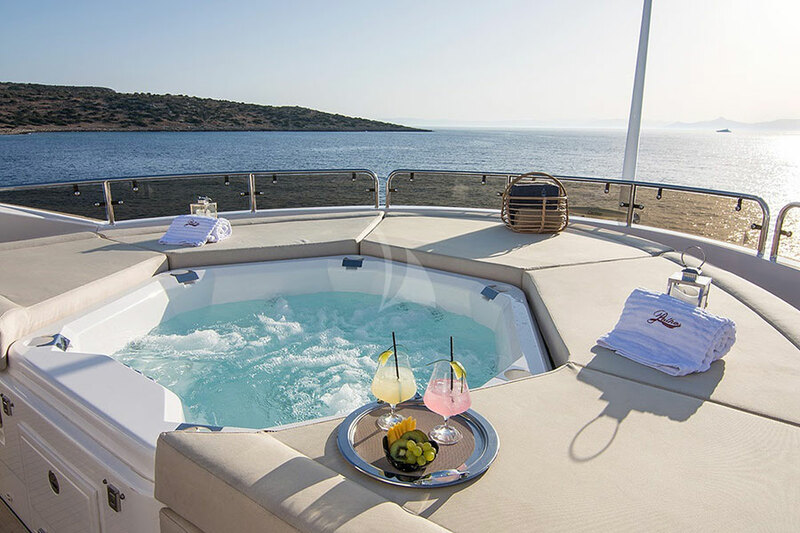 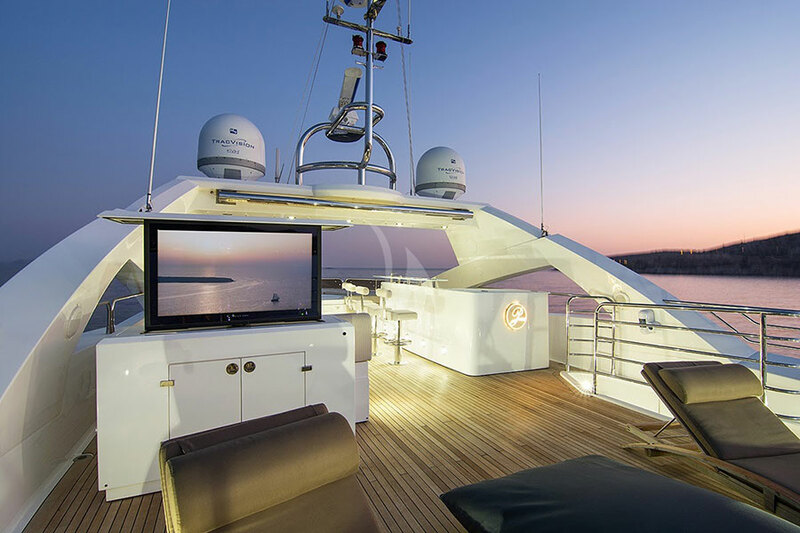 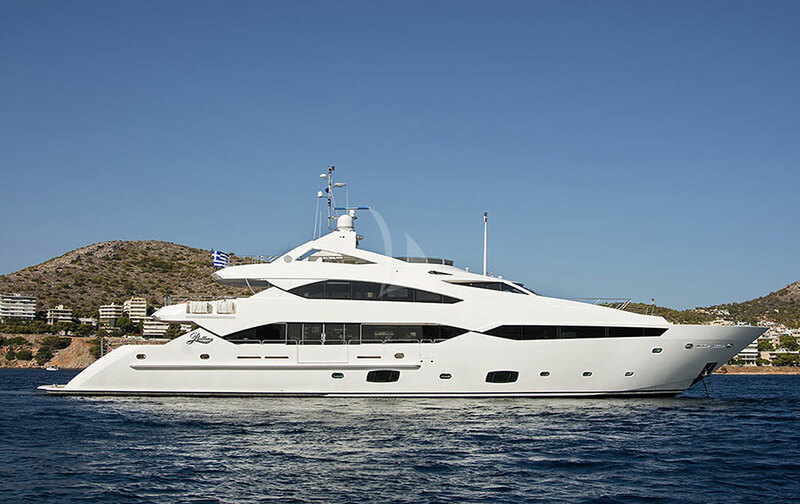 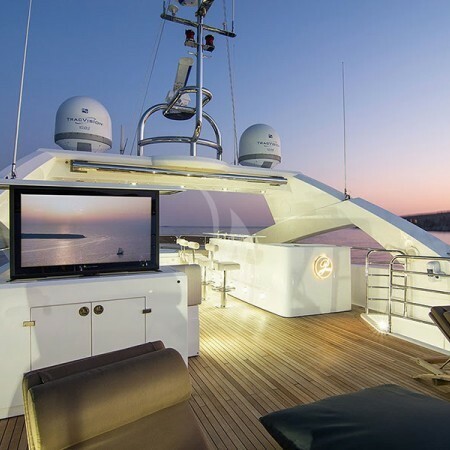 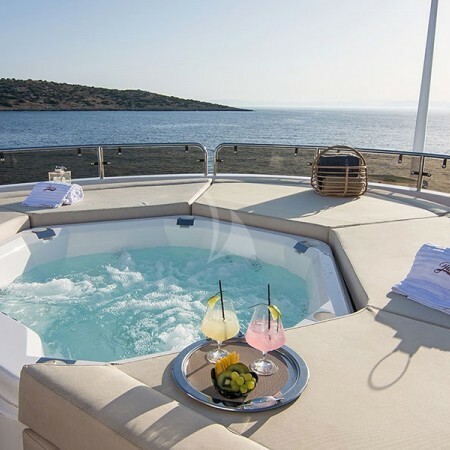 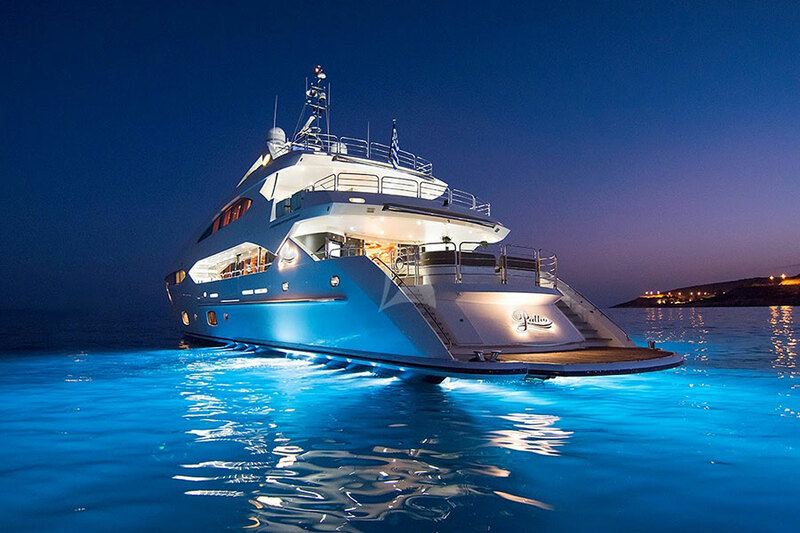 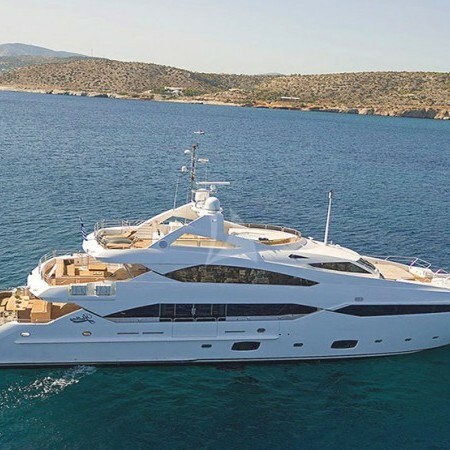 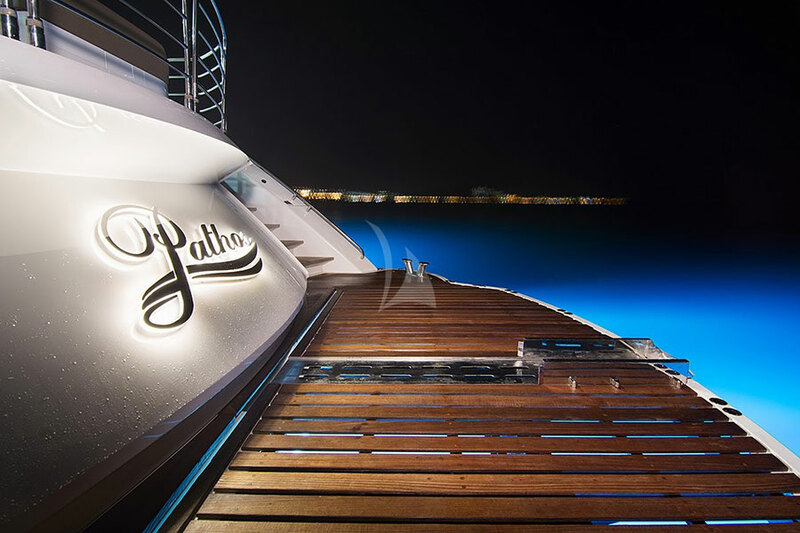 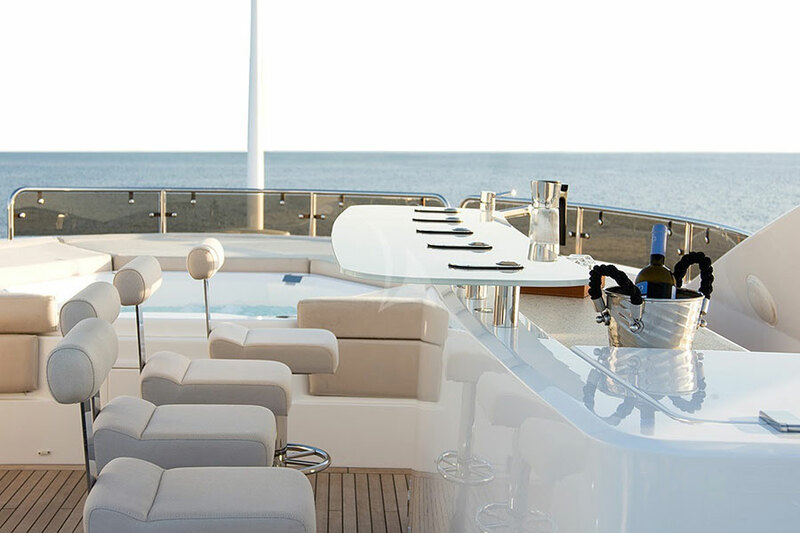 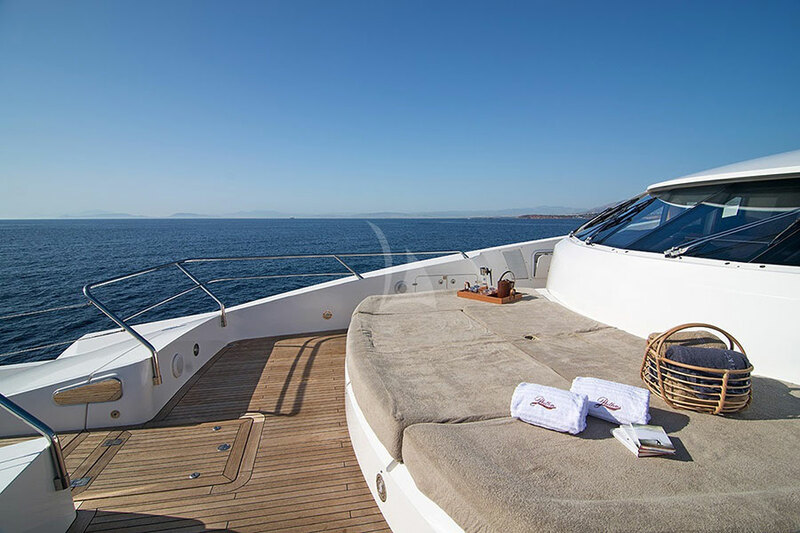 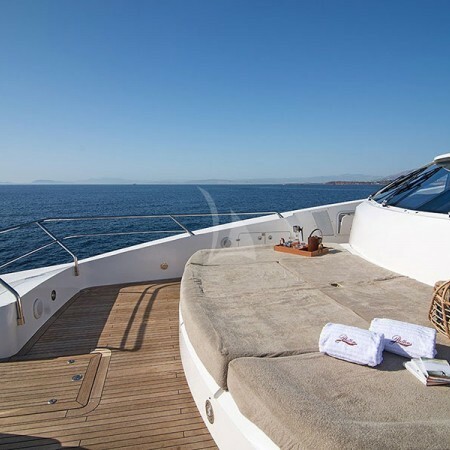 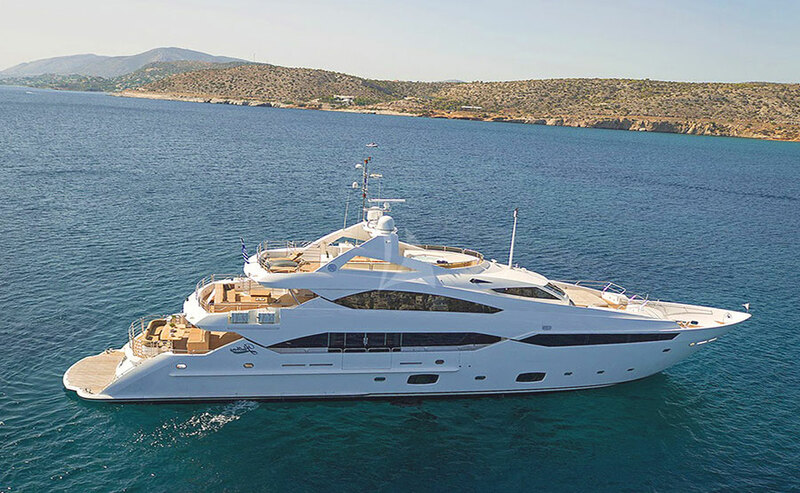 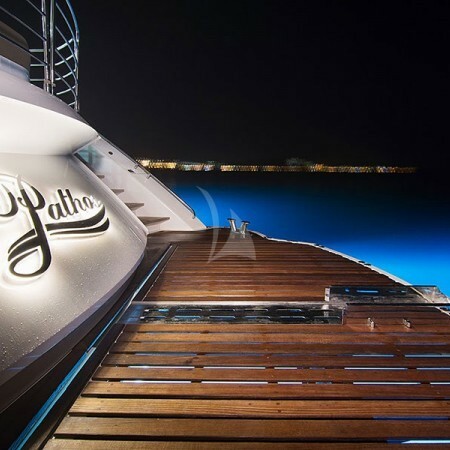 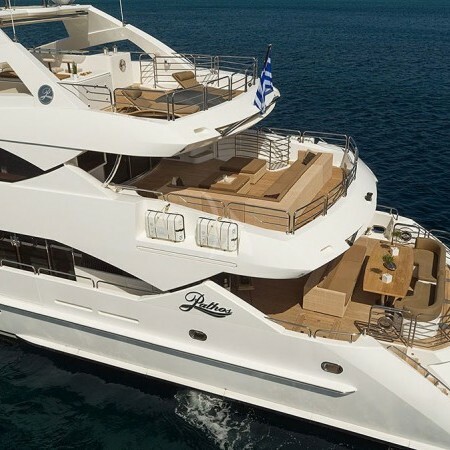 Superyacht Pathos offers the ultimate private yacht charter in Greece. 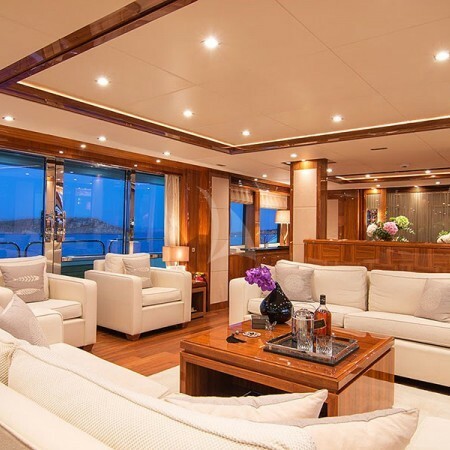 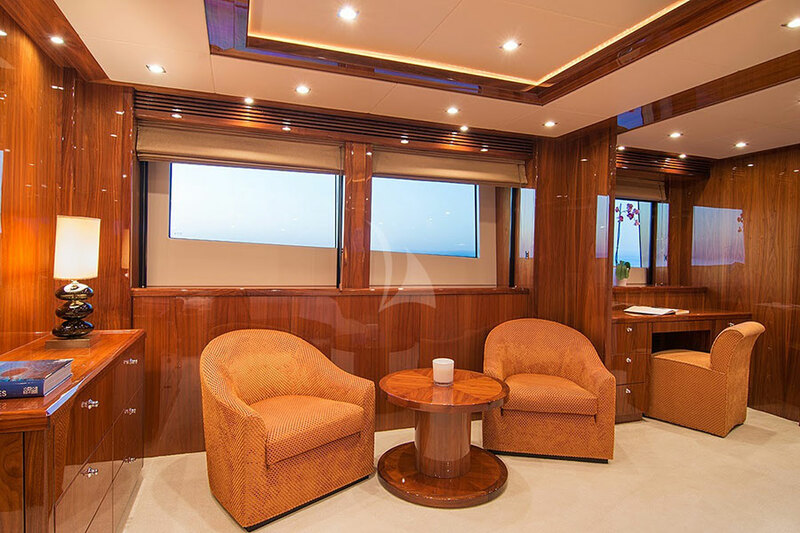 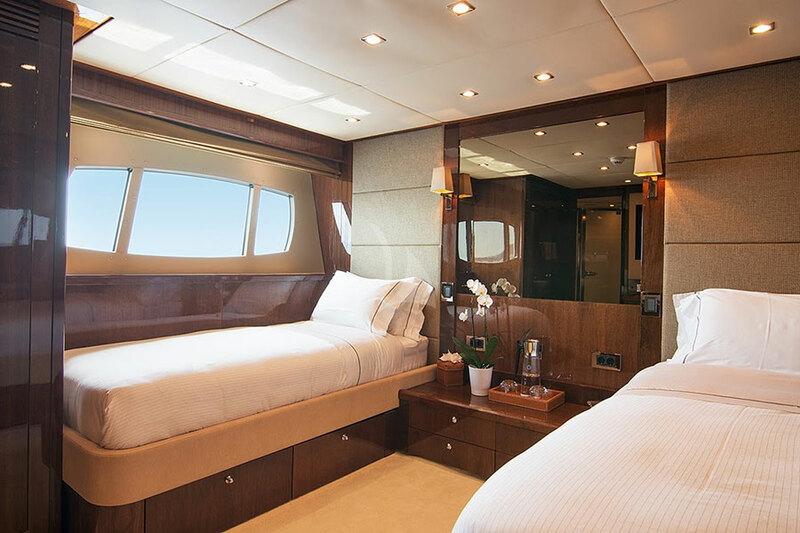 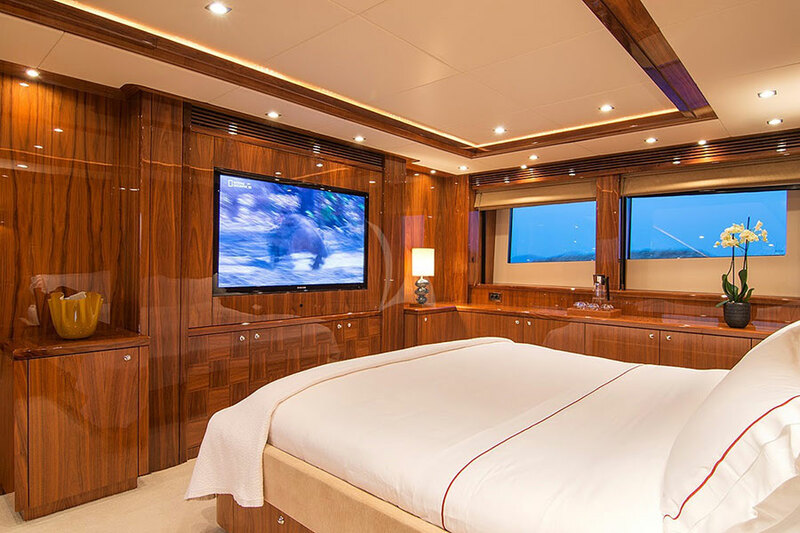 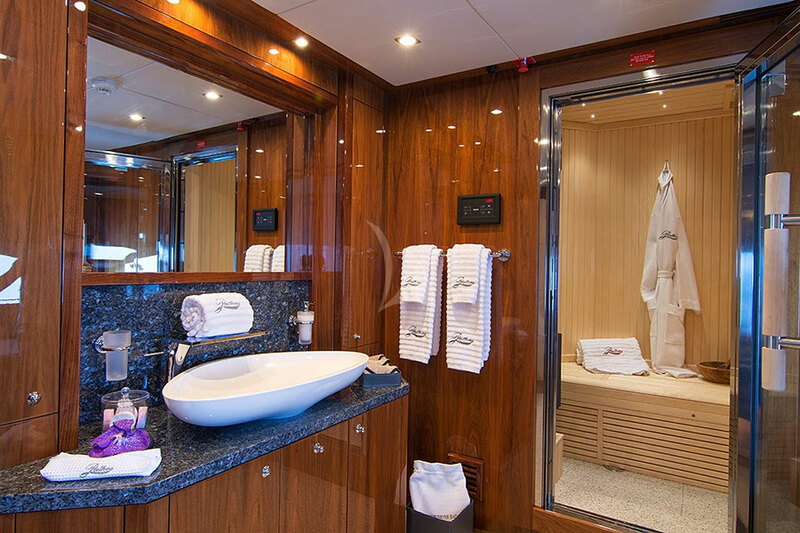 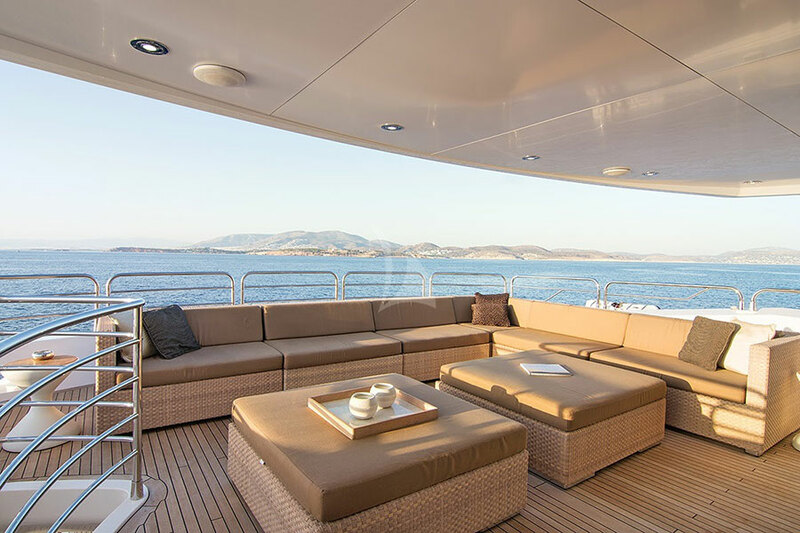 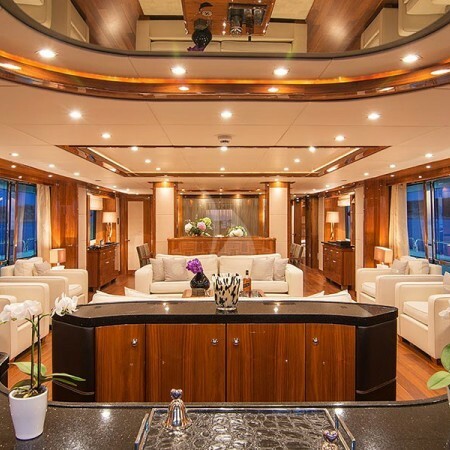 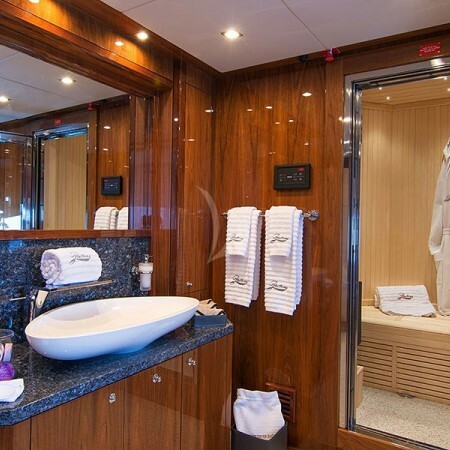 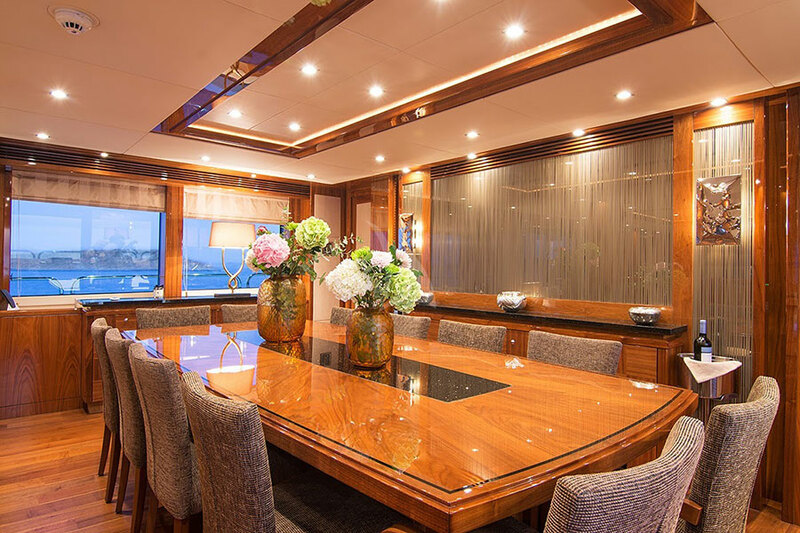 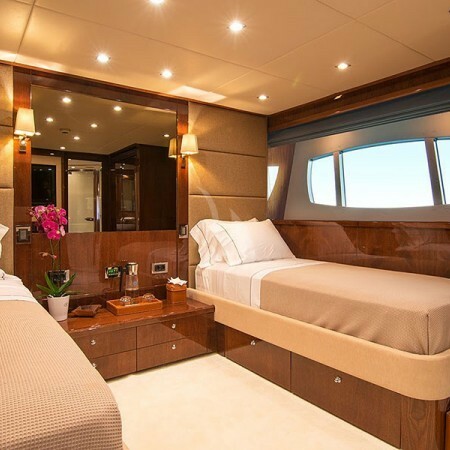 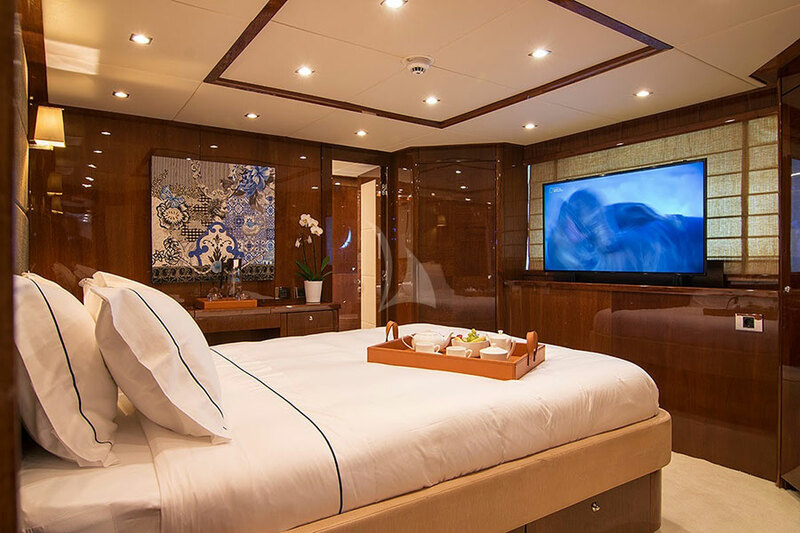 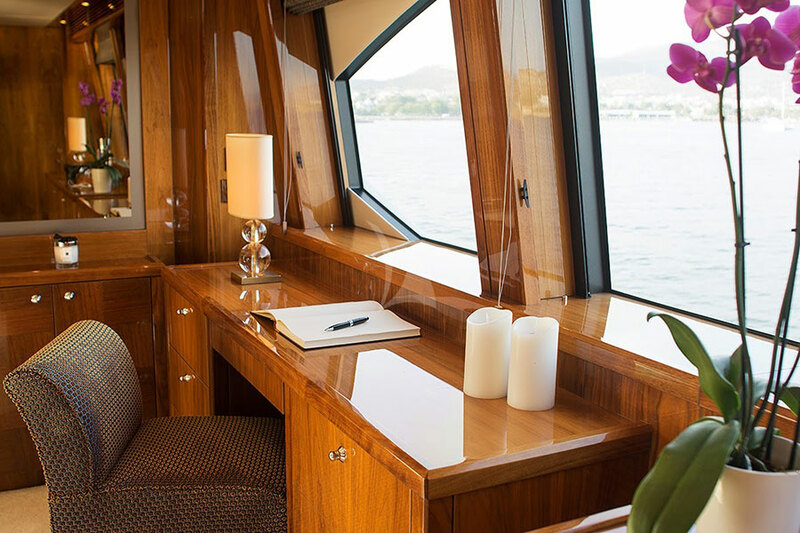 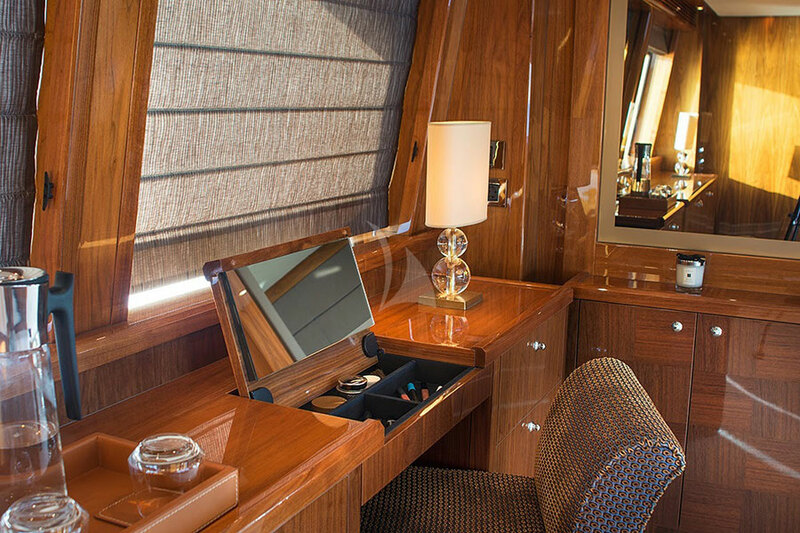 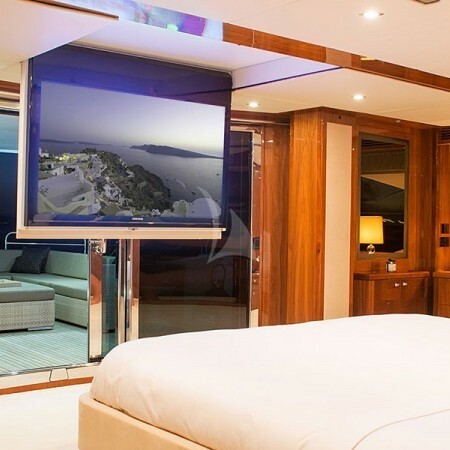 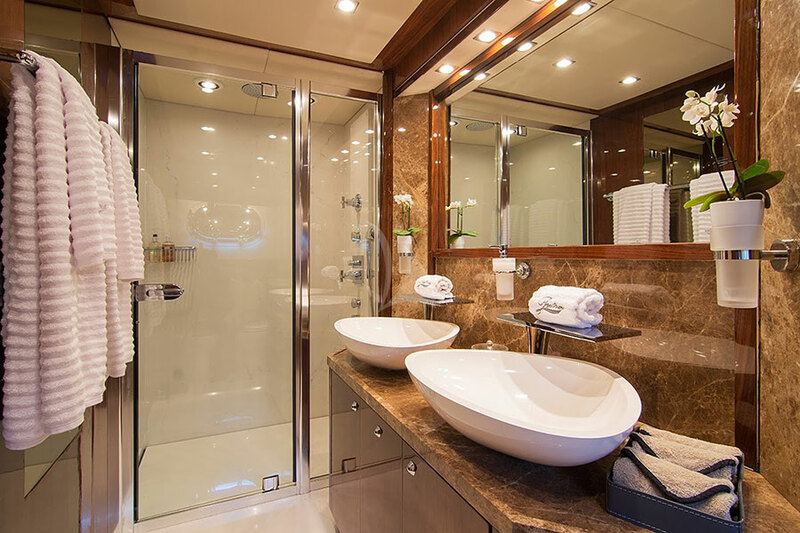 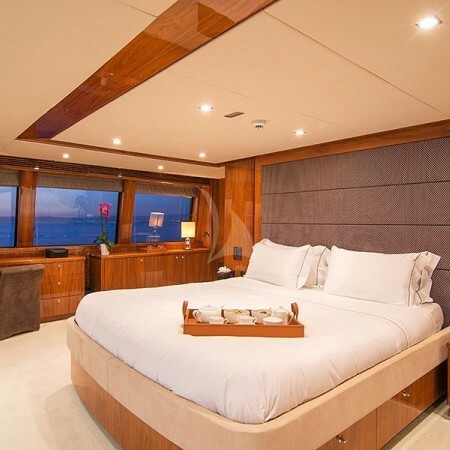 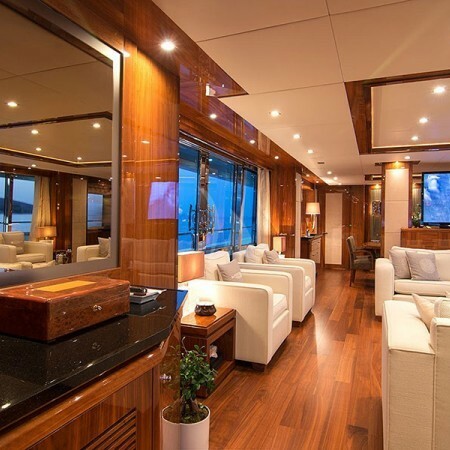 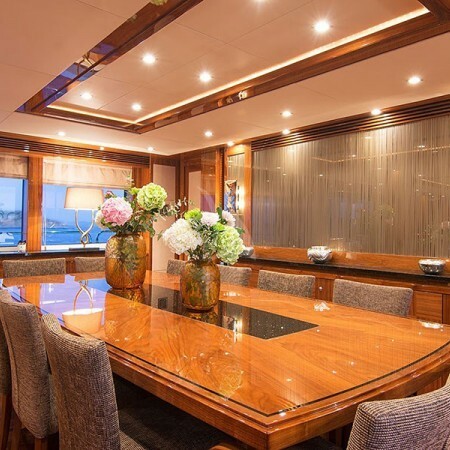 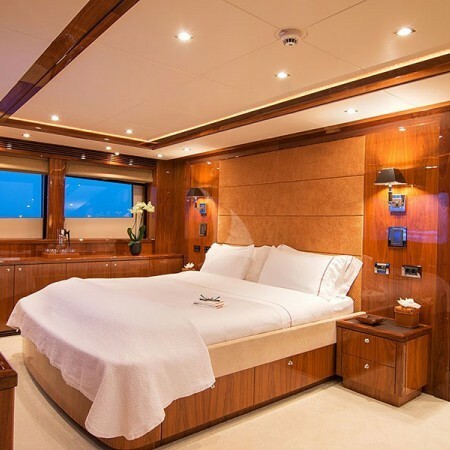 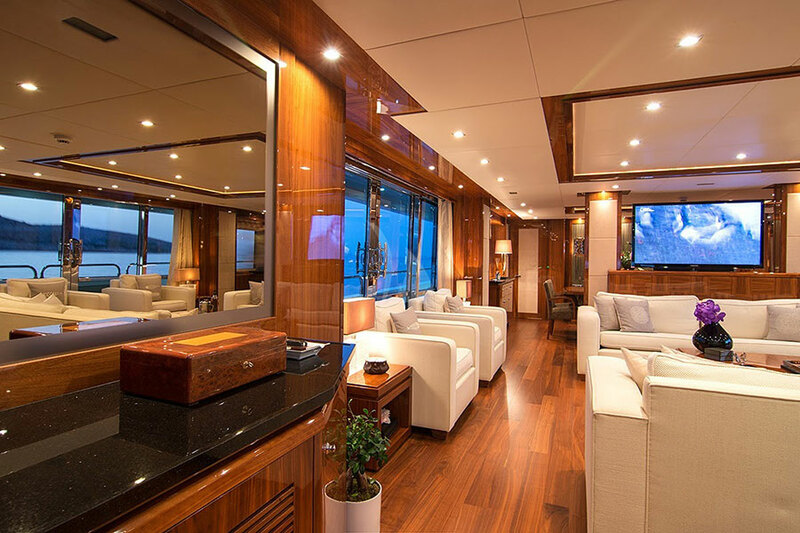 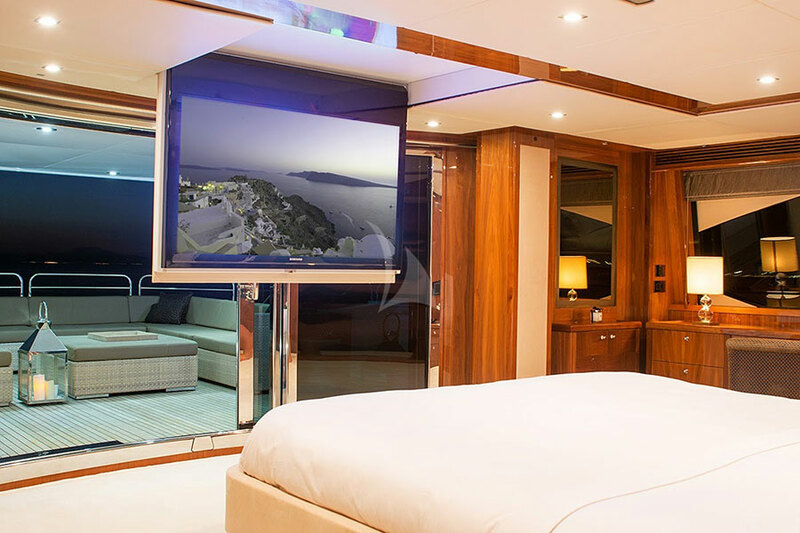 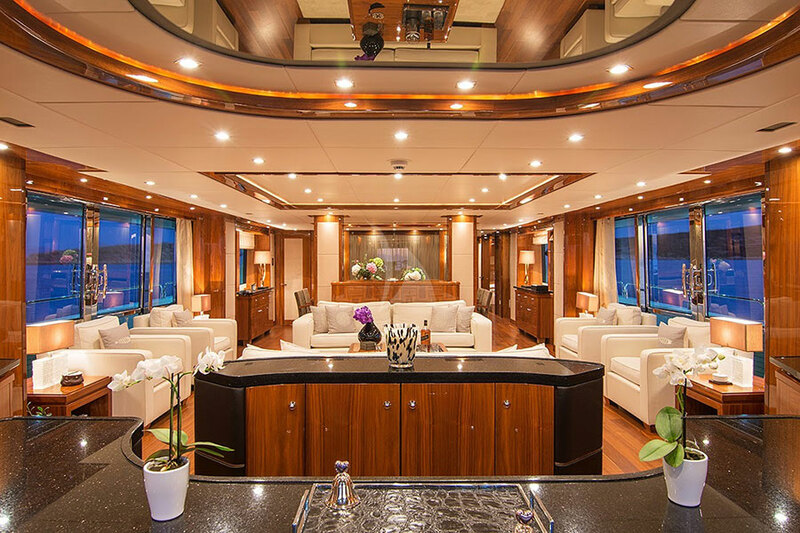 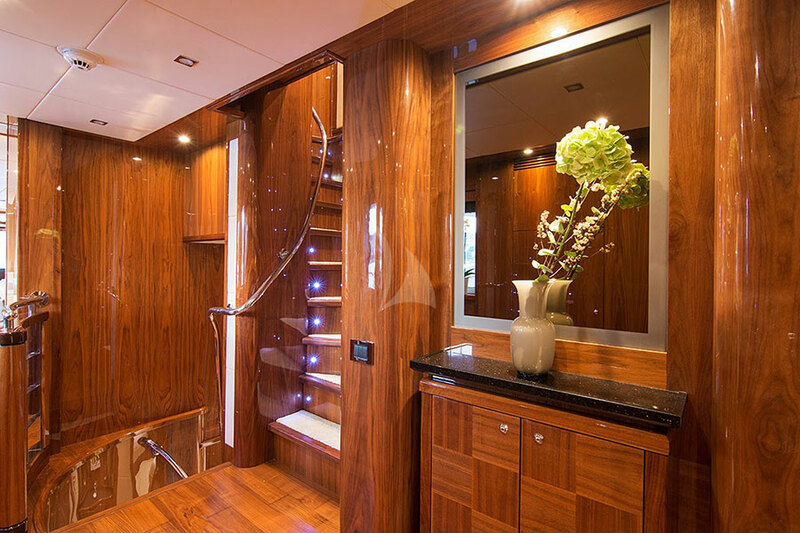 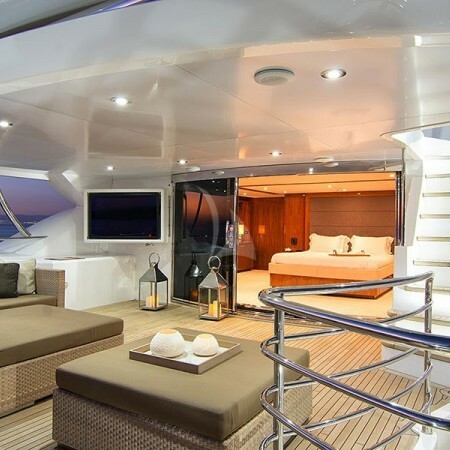 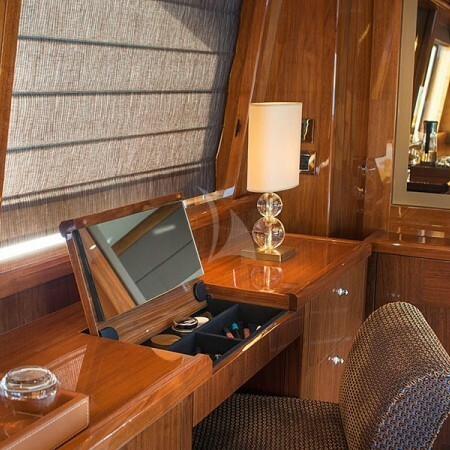 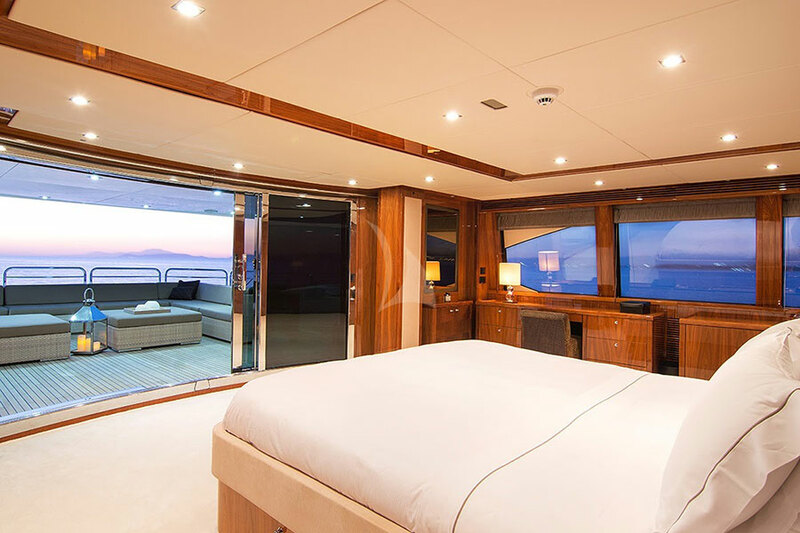 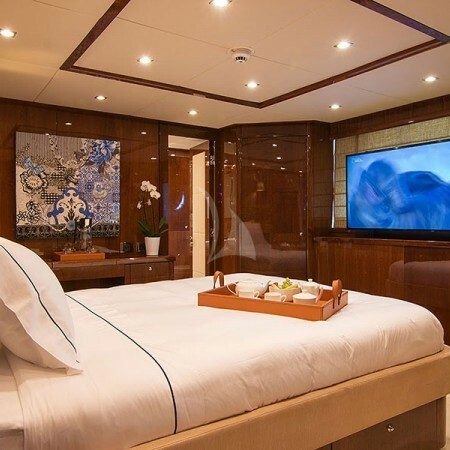 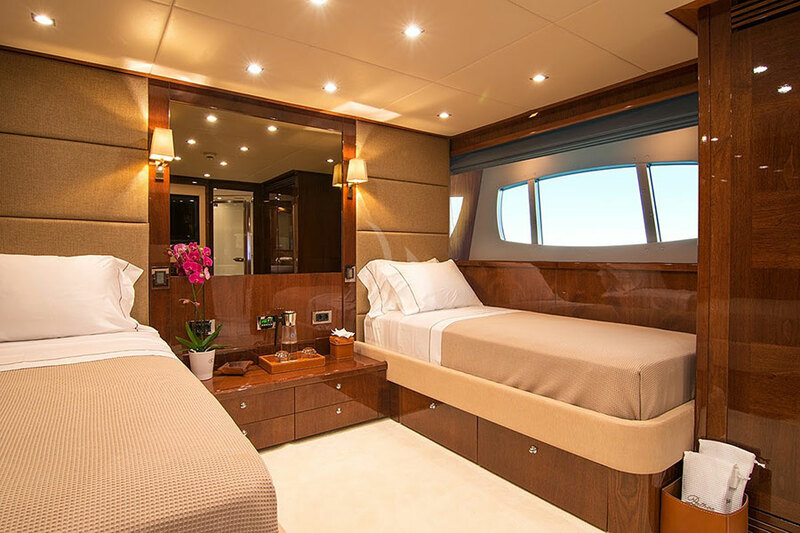 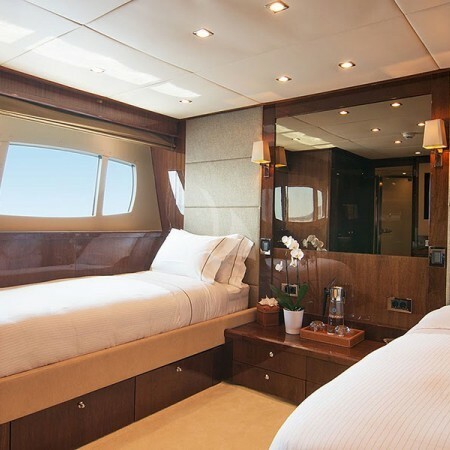 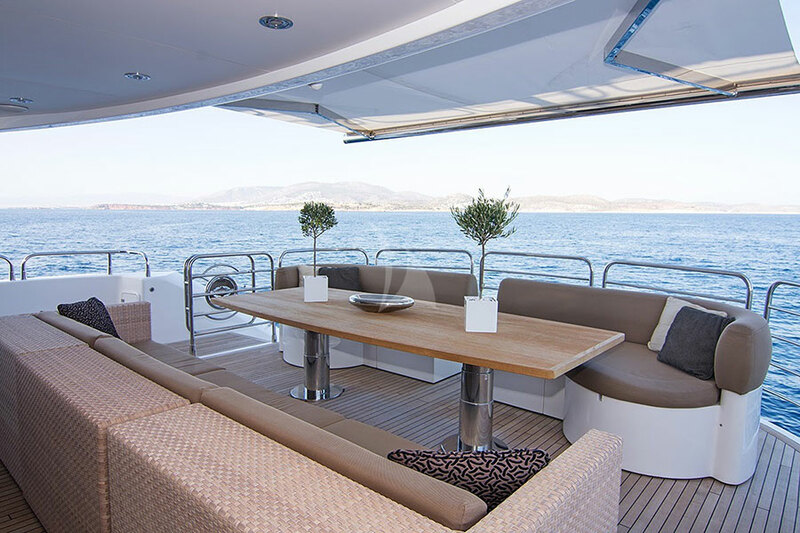 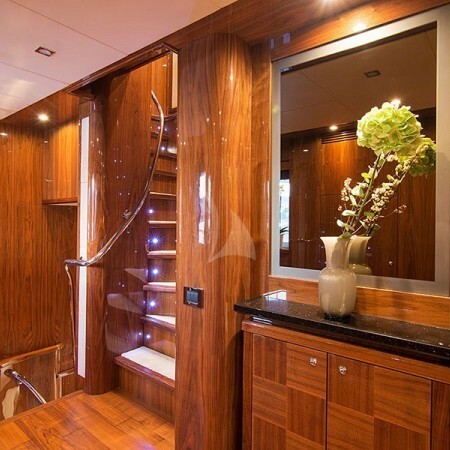 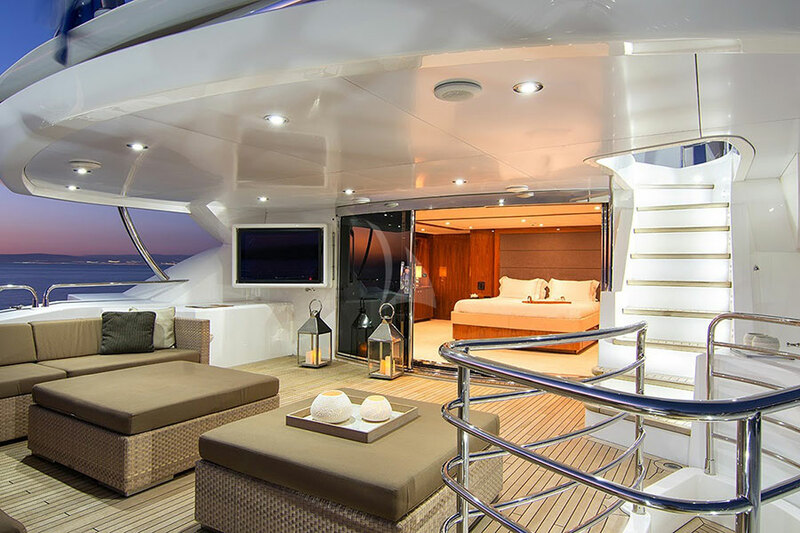 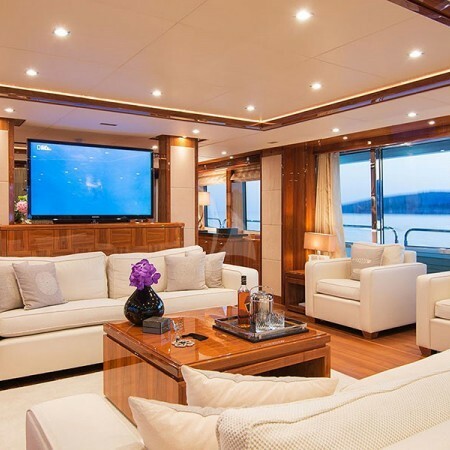 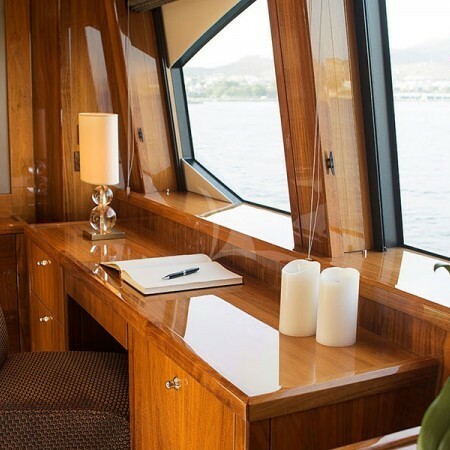 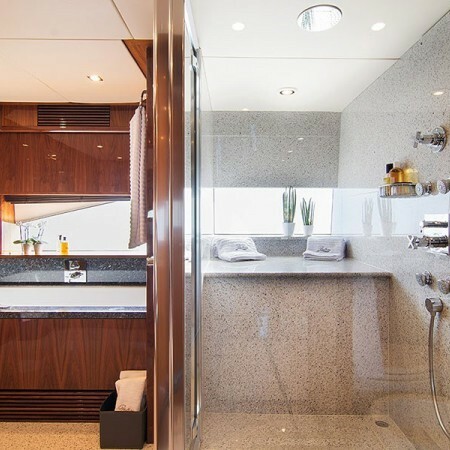 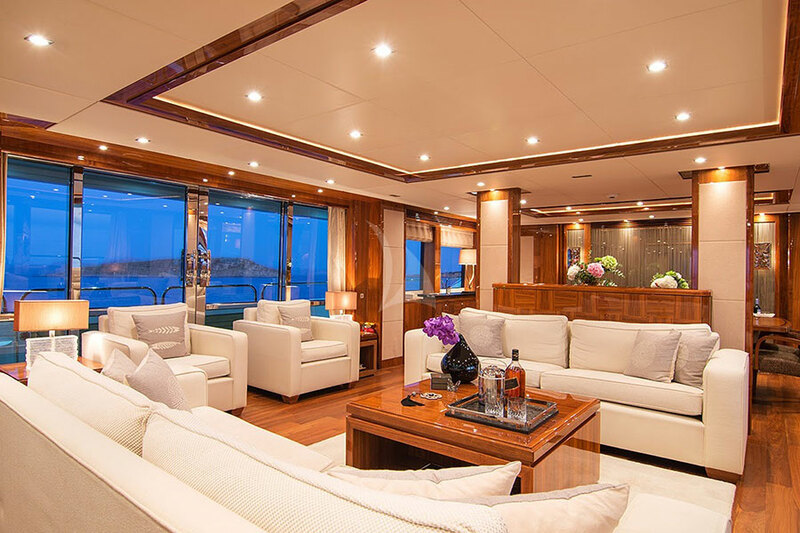 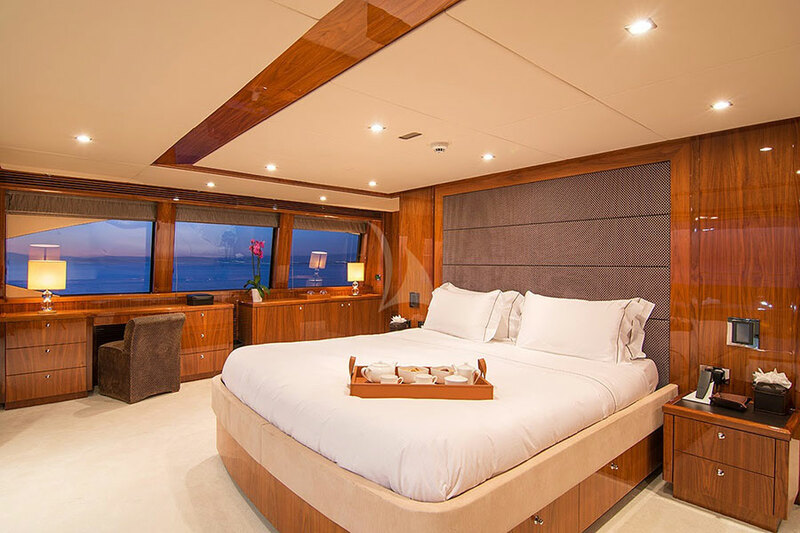 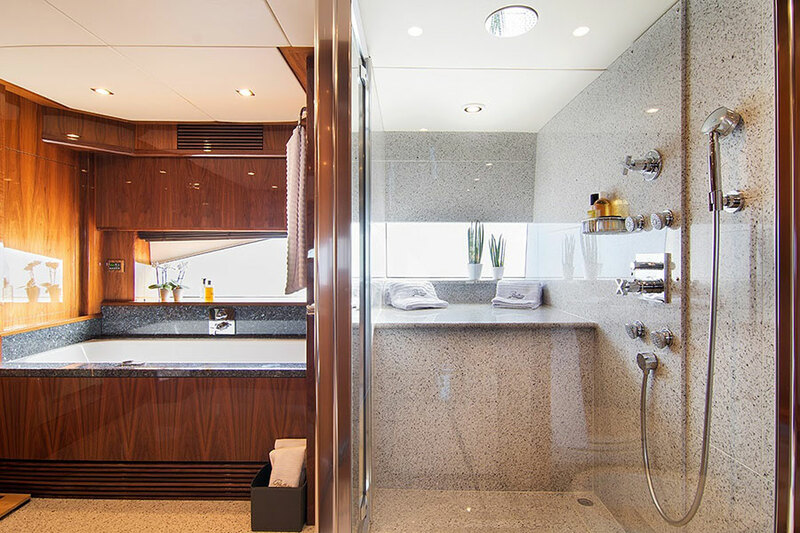 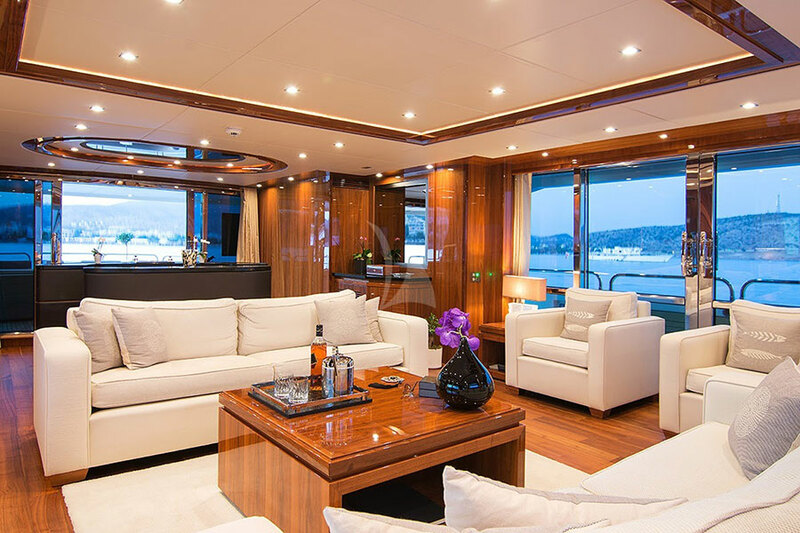 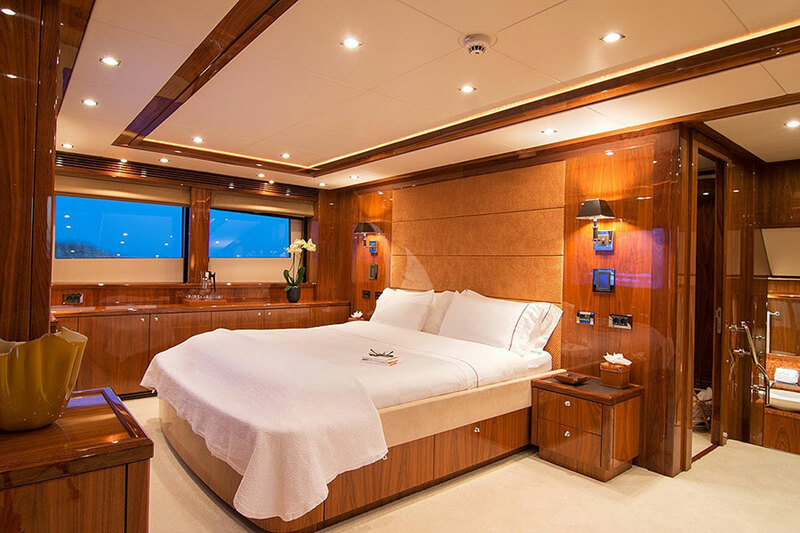 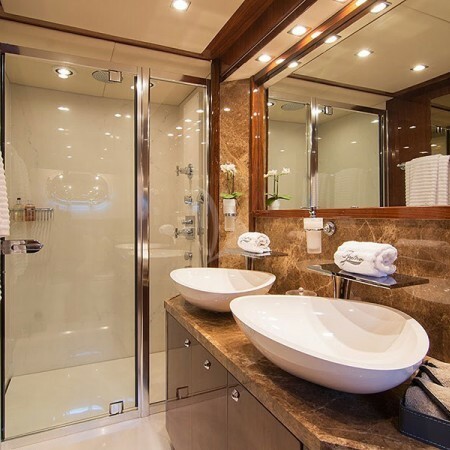 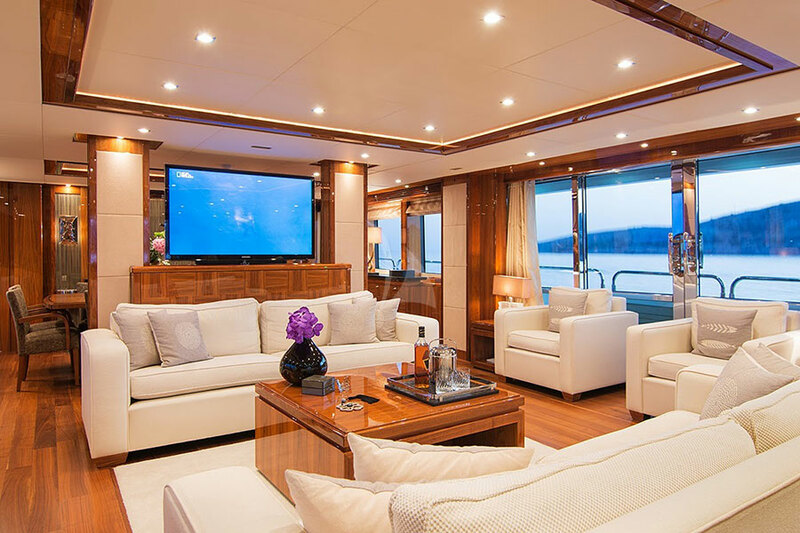 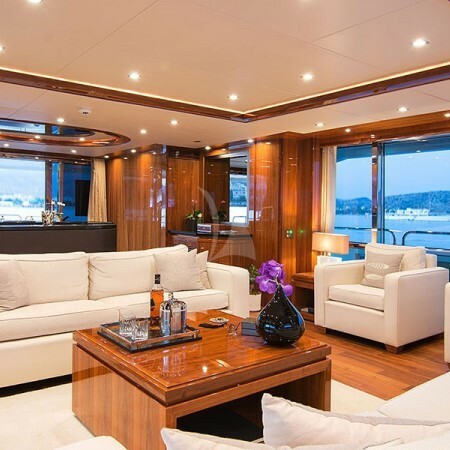 The yacht’s interior layout sleeps up to 12 guests in 6 rooms, including a master suite, 3 VIP cabins and 2 twin cabins. 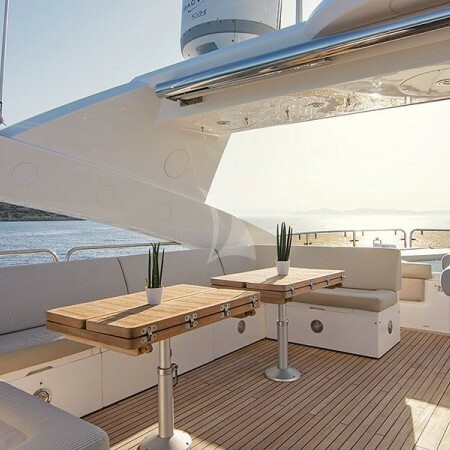 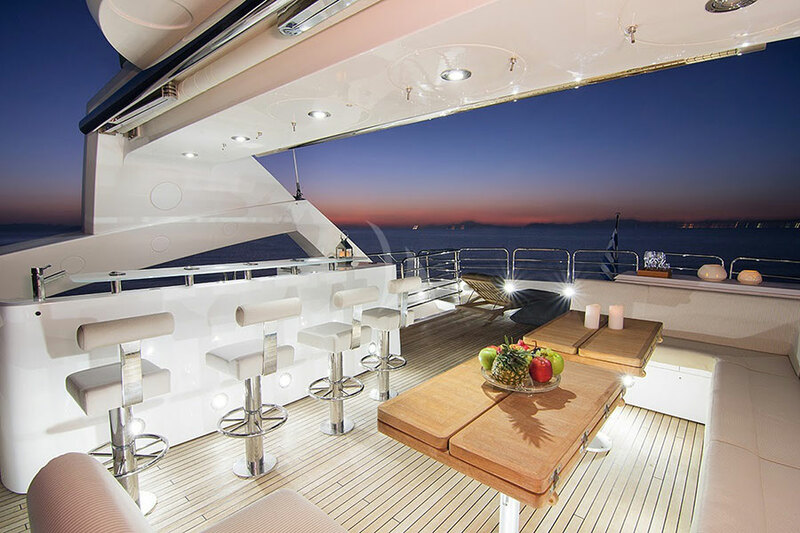 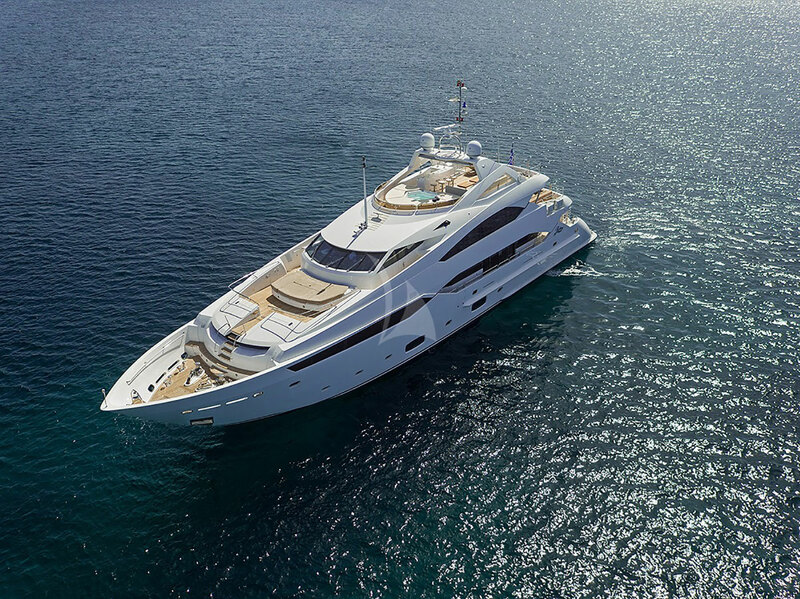 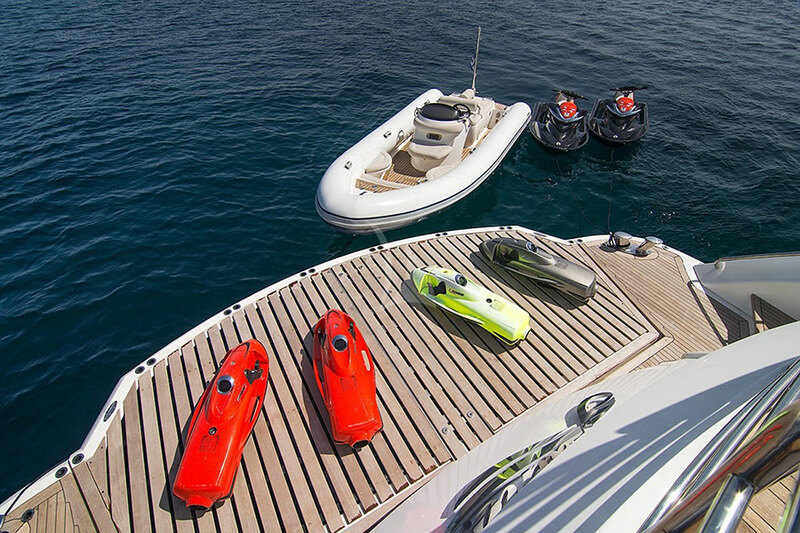 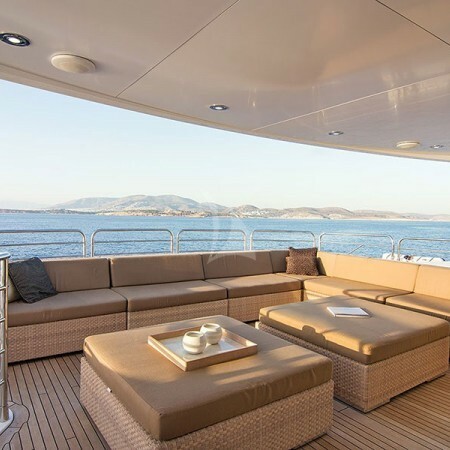 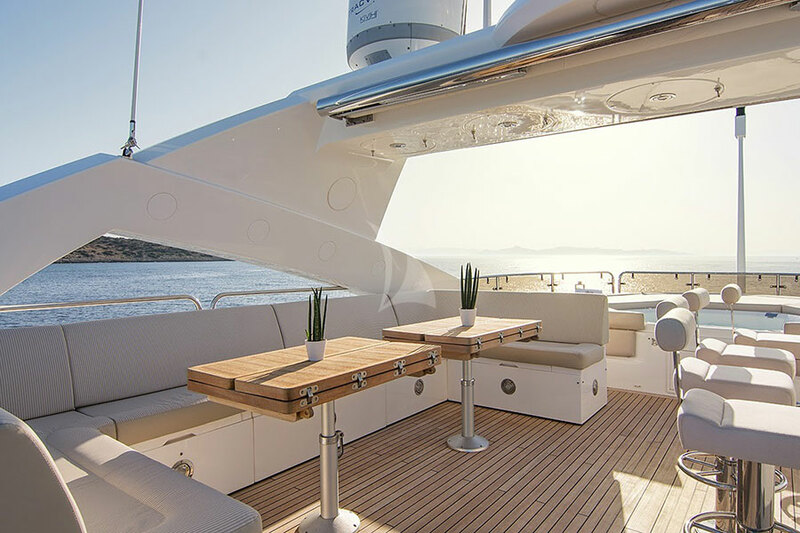 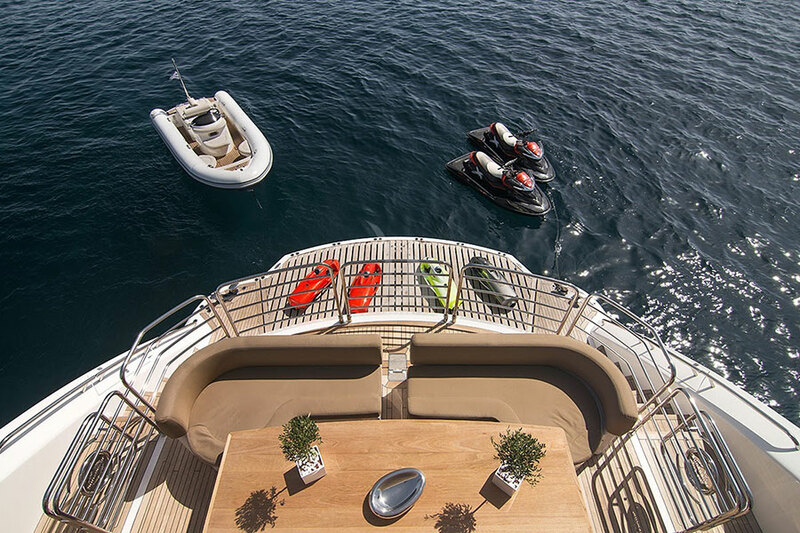 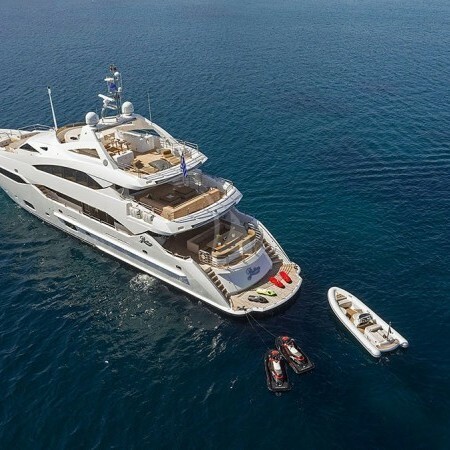 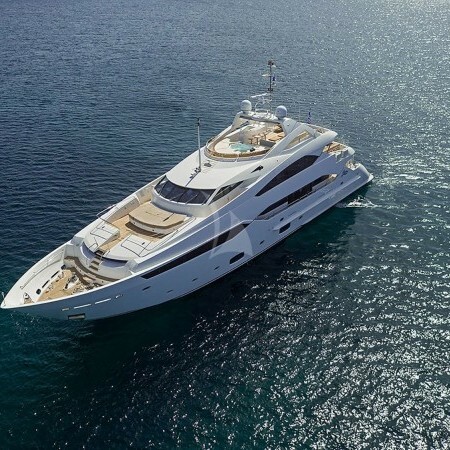 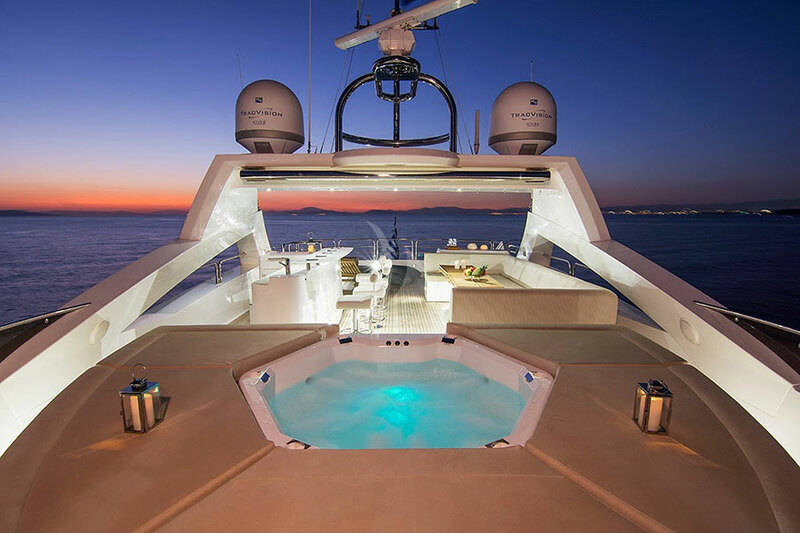 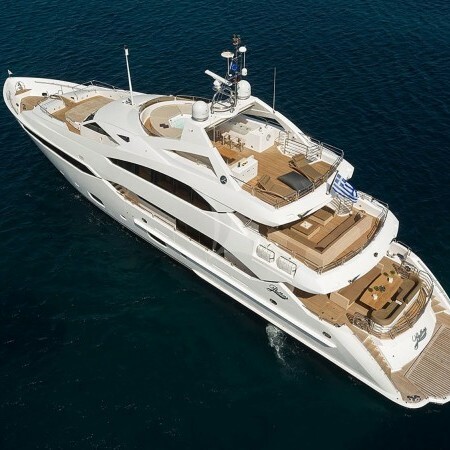 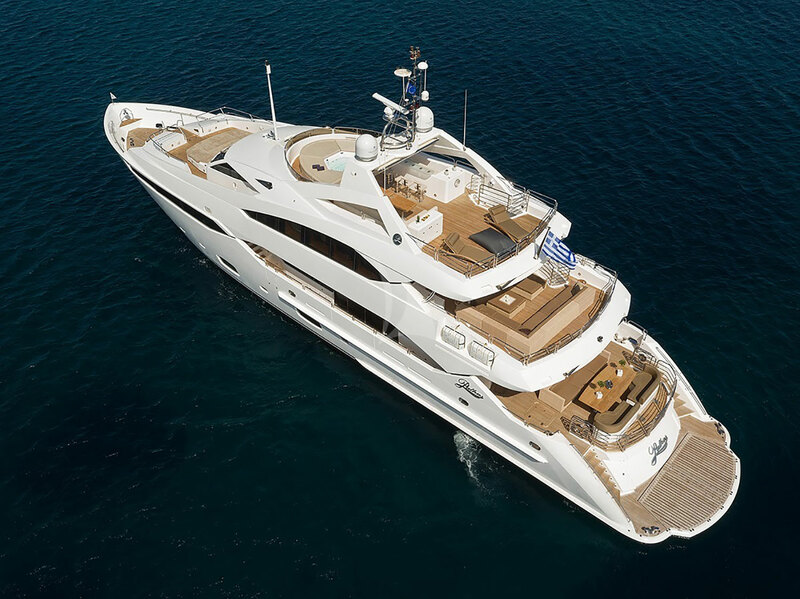 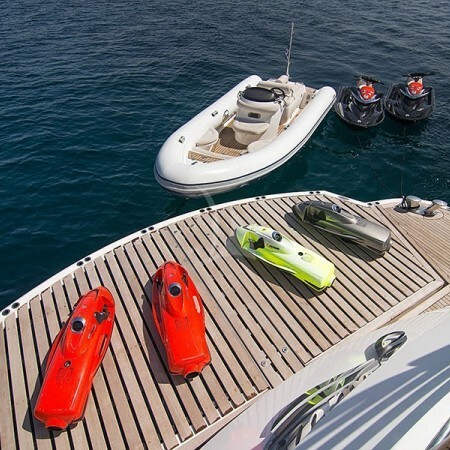 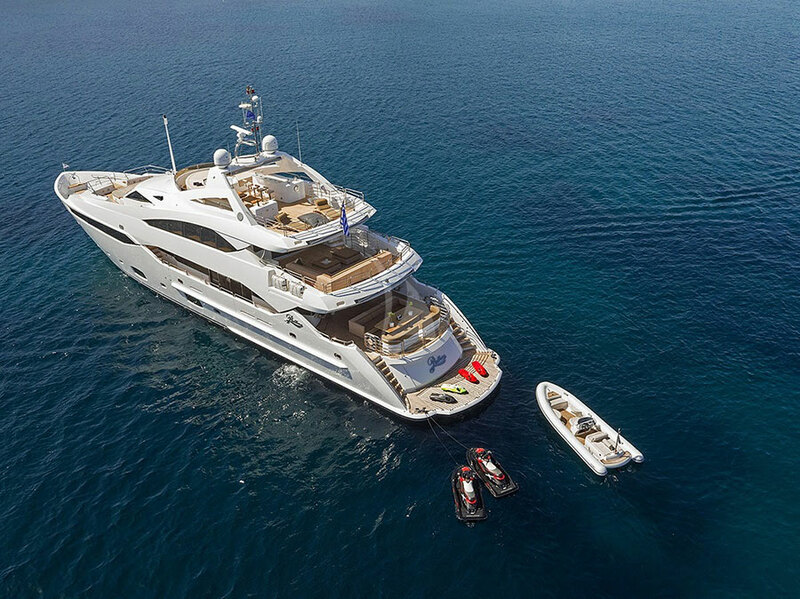 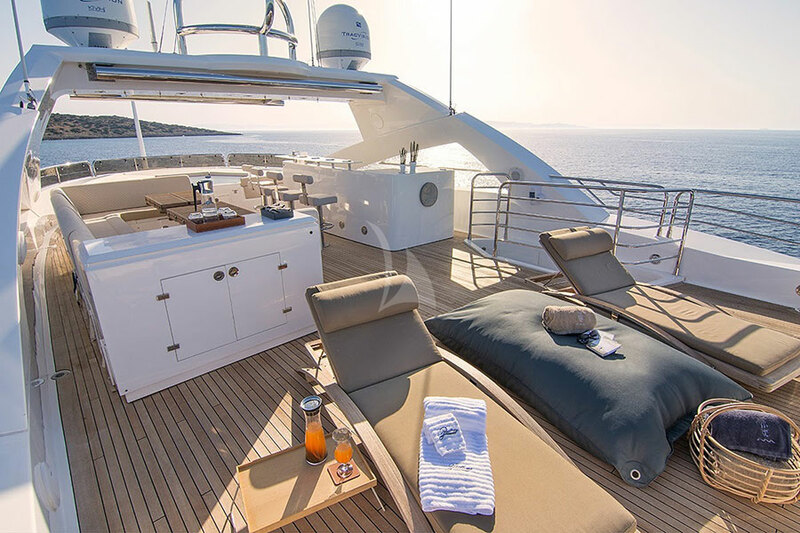 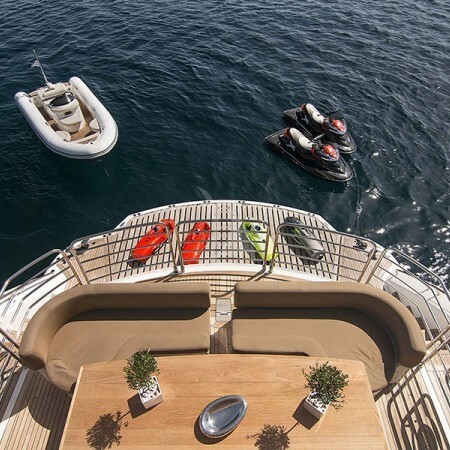 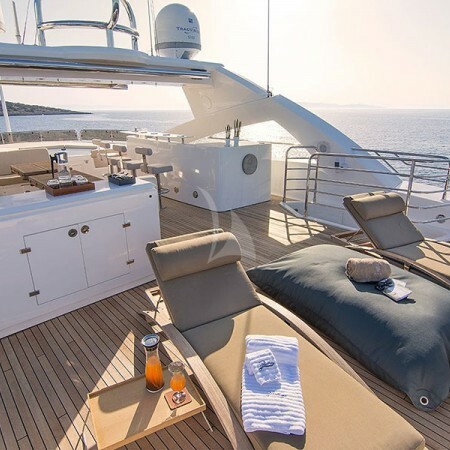 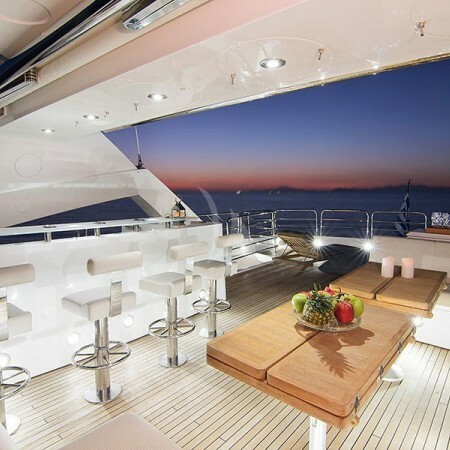 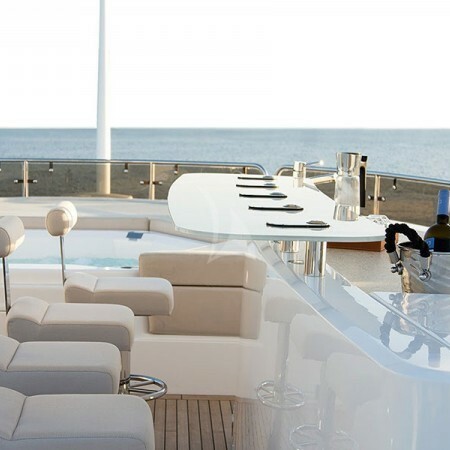 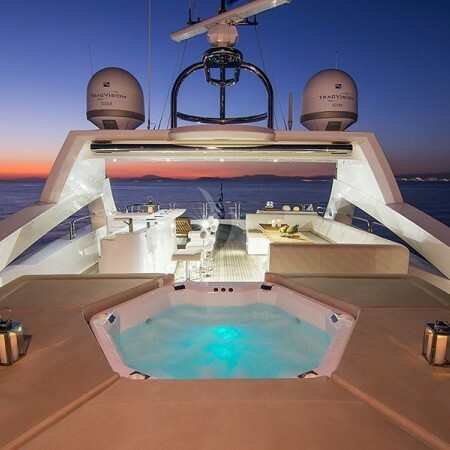 Her 9-member crew will ensure a relaxed and luxury mega yacht charter experience.